1923 Wembley Stadium seats A pair of original seats that would have been present for the first FA Cup Final at Wembley in 1923, the Olympics in 1948 and every event through to the stadium's closure in the year 2,000. 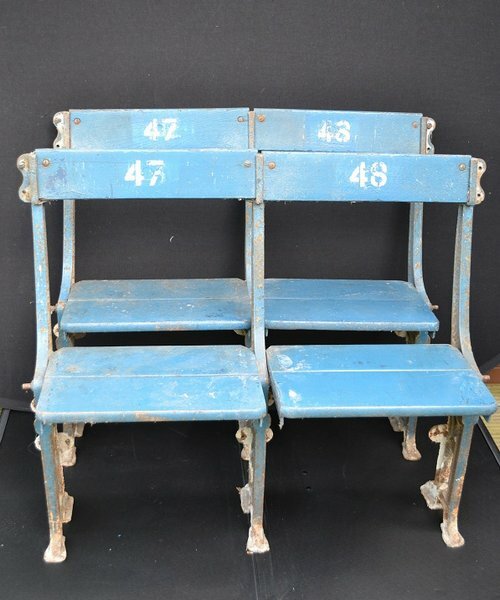 A pair of original seats that would have been present for the first FA Cup Final at Wembley in 1923, the Olympics in 1948 and every event through to the stadium's closure in the year 2,000. Both pairs are in original stadium condition and still function and will be supplied with a detailed Certificate of Authenticity. 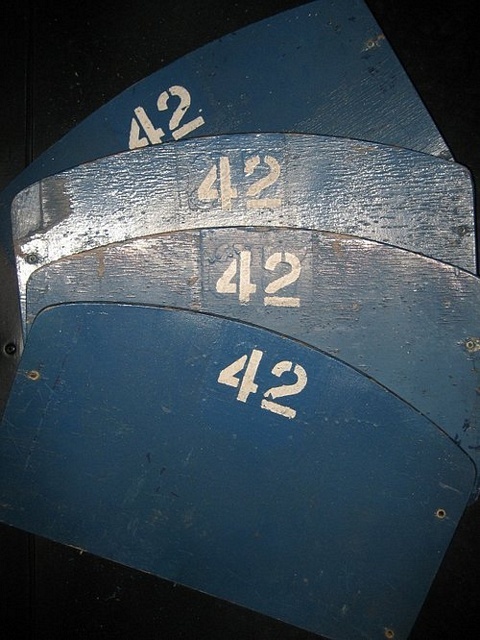 The Original Memorabilia Company were the only official retailer of Wembley Stadium seating and removed 2,000 1966 World Cup Final seat backs in the year 2,000 (Different seats as can be seen in a separate listing). These complete seats were removed at the same time. Please note the price is for 1 pair of seats. If you wish to buy both please enter quantity 2 in your shopping basket.